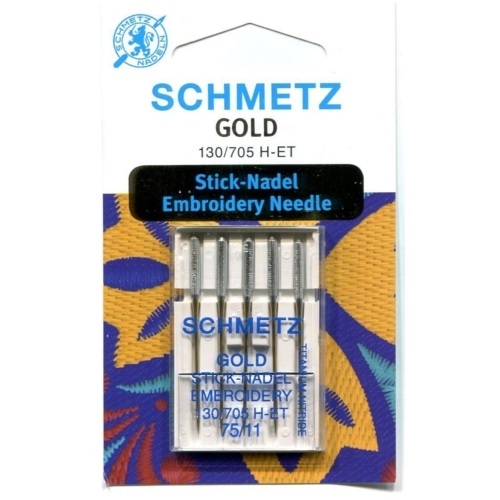 The gold surface coating of these super-hard titanium needle has extraordinary properties which makes it particularly suitable for embroidery. Four to five times harder needle surface than normal embroidery needles. A super hard Needble Tip reduces fabric damage from worn needle points. Excellent wear resistance to increase life time usage.